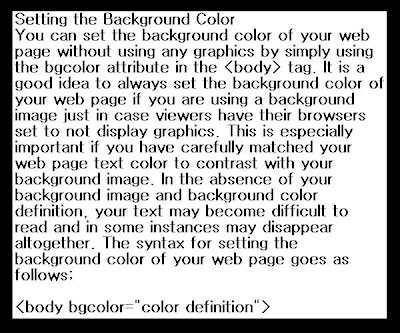 We can see that very few (if any) of the 16 recognized color names are usable to render text on a web page employing a very dark background. You will want to choose a background image that contains mostly dark colours to in order to support light coloured text or conversely, one that contains most light colours to support a dark coloured text. Happy week to you from Speedy ! !